Washington, DC — The Natural Products Foundation (NPF) recently met with officials from both U.S. Food and Drug Administration (FDA) and Federal Trade Commission (FTC) to turn over the names of 10 companies that have continued to make drug or disease claims in their advertising and other promotional materials. These meetings were part of an ongoing effort through the foundation’s Truth in Advertising (TIA) program, which aims to first educate advertisers to help them bring their advertising into compliance. The program, which is funded by industry companies, includes extensive educational information on the foundation’s website to assist companies in need of guidance: Truth in Advertising Resources. Companies that want to proactively become members of the Truth in Advertising program can take the foundation’s pledge: Truth in Advertising Pledge (PDF). Over at NPI Center, NPF Legal Advisor Marc Ullman an interesting piece we would like to point out to all NPF supporters. It is entitled "Healthcare Industry vs. Supplement Industry: Who wins? ", and is well worth a look. Below is a taste, and you click the link below for the entire article. According to today’s Wall Street Journal, the health-care industry spent $133 million – over a million dollars a day – in the second quarter of 2009 lobbying Congress. In comparison, the nonpartisan watchdog group OpenSecrets.org reports that the dietary supplement industry has spent a grand total of $1.5 million on lobbying efforts for the entire year to date. Healthcare Industry vs. Supplement Industry: Who wins? The National Center for Complementary and Alternative Medicine reports today that Americans spent an estimated $33.9 Billion on CAM practices, according to a government run survey conducted 2007. Check out the full statistical breakdown, with an NCCAM Image Gallery and downloadable graphics, right here: 2007 National Health Interview Survey. The Federal Trade Commission testified today before the U.S. Senate on its efforts to combat deceptive advertising in the face of rapid changes in health care, technology, and online marketing strategies. In testimony before the Senate Committee on Commerce, Science, and Transportation’s Subcommittee on Consumer Protection, Product Safety, and Insurance, David Vladeck, Director of the FTC’s Bureau of Consumer Protection, described the Commission’s recent law enforcement and regulatory efforts addressing deceptive advertising. Vladeck discussed health and safety claims, the use of endorsements and testimonials, environmental marketing or “green” claims, and advertising that preys on victims of the economic downturn as among the many important advertising issues faced by the FTC. In the past year alone, the FTC has challenged advertising claims for weight loss, cold prevention, improved concentration, and diabetes and cancer “cures.” In a major law enforcement sweep conducted with the U.S. Food and Drug Administration and the Competition Bureau of Canada, the FTC announced 11 actions against companies and individuals for making false and unsubstantiated claims that a wide range of products could cure or treat cancer. The testimony also discussed Commission’s efforts to update its Guides Concerning the Use of Endorsements and Testimonials in Advertising. Based on the prevalent – and sometimes deceptive – use of third-party endorsements in advertising, the FTC adopted the Guides in 1980. Although the basic principles of the Guides still hold true, dramatic changes have occurred during the last three decades in how products are marketed – most notably, program-length infomercials, Internet advertising, word-of-mouth or viral marketing, and consumer blogs have all become commonplace. Vladeck testified that it also has become clear that “results not typical” and other disclaimers of typicality commonly used in endorsements and testimonials are not working as intended to prevent consumer deception. Vladeck told the subcommittee that the proliferation of advertisers proclaiming the “green” attributes of their products has led the FTC to review its Green Guides, the centerpiece of the agency’s environmental marketing program. The Commission’s latest enforcement actions charged three companies with disseminating false and unsubstantiated claims that their products – disposable plates, wipes, and towels – were “biodegradable.” Two of the cases have settled, and the third is in litigation, Vladeck said. In response to the rise in financial distress scams, on July 1, 2009, the Commission announced “Operation Short Change,” a joint initiative with 14 states, the Department of Justice, and other agencies that included more than 120 law enforcement actions. As part of this operation, the FTC brought eight new cases against companies that have conned consumers, and took action in seven additional cases earlier this year challenging similar misconduct. The new cases include one against the marketers of “John Beck’s Free & Clear Real Estate System,” a widely publicized get-rich-quick scheme, Vladeck testified. The Commission alleged that these schemes, promoted through misleading infomercials and on the Internet, have duped hundreds of thousands of consumers out of about $300 million. The Commission vote authorizing the testimony was 4-0. So we’ve all read the headlines about the recent recall of a line of 14 dietary supplements due to 23 reports of serious adverse events linked to (but not proved to caused by) the weight-loss and bodybuilding products in question. The product recall that was requested by the U.S. Food and Drug Administration has been applauded by the natural products industry, as it shows how effective are the Dietary Supplement Health and Education Act of 1994 (DSHEA) and the AER Law. If truth be told, the manufacturer should have known better, regardless of where the final toxicology reports or class action lawsuits wind up, since a number of the recalled products were made with a modern version of the dangerous old “ECA stack” formula (ephedra-caffeine-aspirin, or ECA), with each serving containing stimulant herbs, over 400 mg of caffeine plus willow bark extract (natural aspirin). That being said, the FDA, long believed to be a foe of the dietary supplements industry, is taking advantage of the recall to repeat its oft-voiced complaint that its hands are largely tied because it must rely on voluntary reports and post-market monitoring. “Part of the problem is that the FDA looks at dietary supplements from a post-market perspective and an isolated incident is often difficult to follow,” said the FDA’s Linda Katz, M.D., M.P.H. Katz and the mainstream media are missing the point. Dietary supplements, because they are a class of food products, are considered largely safe. Food products, and products derived from foods and plants, are presumed to be benign and have very little, often no known, side effects. The ingredients in supplements are mainly natural ingredients that have co-evolved with humans from time immemorial and especially since the creation of agriculture 10,000 years ago. They form what ethnobotanist Dr. Jim Duke refers to as the “Green Pharmacy” of healing and healthful compounds. When not used properly or used by profoundly unhealthy, often heavily medicated consumers looking for a quick fix, they are linked to a few hundred adverse event reports each year. Drugs are largely synthetic, powerful chemical compounds that are not found in the food supply and which are presumed to be dangerous and often have very serious, known side effects. Drug chemicals are primarily artificial compounds synthesized to dramatically change, stop, block or boost a system or process in the body in order to improve symptoms. They cause over 100,000 deaths a year and close to 1 million serious adverse events. “Dietary supplements are not regulated as drugs because they are not drugs,” adds Jeffrey Blumberg, PhD, FACN, director of the Antioxidants Research Laboratory at the Jean Mayer USDA Human Nutrition Research Center on Aging, at Tufts University. Gormley Take-Away: DSHEA and the AER Law work very well. The FDA should cooperate with the responsible core of the natural products industry rather than criticizing the very laws that the American people saw fit to pass and which the FDA is sworn to uphold and enforce. While consumers should not be scared about this rare product recall, some manufacturers (and these few companies know who they are) should take a hard look at their products and their safety and testing data to make sure they are not repeating mistakes of the past relating to formulas and claims, because nobody benefits from inadequate vigilance, the companies included. About the Author: James Gormley is an award-winning journalist, published author, and member of the American Society of Journalists and Authors (ASJA) and the Association of Health Care Journalists. He is a senior policy advisor for Citizens for Health, an advisory board member of the National Health Research Institute (NHRI) and a member of the Institute of Food Technologists (IFT). 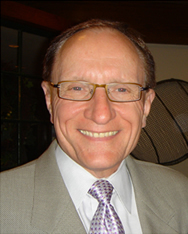 He is currently editor of a peer-reviewed medical journal and serves as an industry commentator. For more of James' commentaries, please visit his blog, The Gormley Files. Washington, D.C. – June 23, 2009 – The Natural Products Foundation (NPF) is pleased to announce the first “match” in its new effort to connect community health programs that are feeling the strain of the current economic climate with natural products companies willing to donate products, such as nutrition bars, dietary supplements and health and beauty aids. Named “Healthy Match,” the program’s first beneficiary is the Sarasota Community Medical Clinic, which offers a variety of health care services to the uninsured and financially needy throughout Sarasota County, Fla. Donations to the clinic are coming from Aubrey Organics, Carlson Nutritional Supplements, NOW Foods and Franklyn BioScience. The NPF is continuing to enroll community health programs and natural products companies to participate in Healthy Match. All products contributed go directly to the community program of the donor's choice, and contributions, material or financial, are generally tax deductible. Learn more about the Healthy Match program at: naturalproductsfoundation.org/healthymatch or contact Deb Knowles, NPF director of development at debknowles@supplementinfo.org or (941) 349-9044. While you may reach for Vitamin C during allergy and cold season, when you feel your immune system can use a boost, what you may not realize are the year round benefits Vitamin C provides. Research on Vitamin C indicates that it may be beneficial to you in many ways, including helping to shorten the duration of a cold. Vitamin C also may help in reducing muscle soreness from exercise, and further research is being conducted on its role in preventing chronic disease. This incredible antioxidant enhances iron absorption and is necessary for the synthesis of collagen, a protein responsible for the formation of skin, hair nails, connective tissue, ligaments and bones. A Vitamin C supplement might be an easy way to help add to the Vitamin C intake you would normally achieve from a healthy diet. You can learn more about Vitamin C by logging on to www.supplementinfo.org. That's supplementinfo.org. This message is brought to you by the Docter Whitaker Show, and the Dietary Supplement Information Bureau, your partners in scientific-based supplement information. As of May 17, 2009, 39 countries had officially reported 8,480 cases of “swine flu” influenza A (H1N1) infection. Most confirmed cases were identified in Mexico (2,895 cases, 66 deaths) and the U.S. (4,714 cases, 4 deaths). The following states were hardest hit: Illinois (638 cases), Wisconsin (613), Texas (506), California (504), Arizona (435), Washington (246) and New York (242). Although times of crisis, such as national health emergencies and global pandemics, bring out the best in most Americans, there have unfortunately always been some marketeers and hucksters who take advantage of the panic resulting from these tragic, and trying, times. A day later, I stumbled upon an article posted on a Bulgarian news agency site with the following lead: “Bulgaria expects a huge increase in orders for two anti-flu dietary supplements in light of the current swine flu epidemic.” One of these products had already been the subject of a new dietary ingredient (NDI) rejection by the U.S. Food and Drug Administration (FDA) in early 2000. On April 28th, I alerted Gary Coody to these scams; Gary is the national health fraud coordinator in the FDA’s Office of Enforcement. I also reached out to officials from the U.S. Federal Trade Commission (FTC). The FTC has developed a new consumer alert, “Rx for Products That Claim to Prevent H1N1? A Healthy Dose of Skepticism” (http://ftc.gov/bcp/edu/pubs/consumer/alerts/alt083.shtm). It warns the public to be skeptical of claims that products like pills, air filtration devices and cleaning agents can supposedly kill or eliminate the virus. This is, of course, not the first time that Internet peddlers have tried to take advantage of consumers during scares and epidemics. In 2005, the FDA issued warning letters to nine companies marketing phony avian flu products. The use of these fake products “increases the risk of catching and spreading the flu rather than lessening it because people assume they are protected and safe and they aren’t,” said the acting FDA commissioner on December 13th, 2005. Gormley Take-Away: We should steer clear of any dietary supplements which claim to prevent, treat or cure swine flu --- and, for that matter, any virus or outbreak of any kind. Legitimate supplements, including herbals, are great for promoting health and helping us cope with the common, everyday nasties that come our way. But let’s leave the gas masks in the fallout shelters, okay? For more information about the Economic Impact Study, or to set up an interview with the study's lead researcher, Joan DaVanzo, please contact Natural Products Foundation Director of Development Deb Knowles, at debknowles@supplementinfo.org or 941-349-9044. After a relatively easy clearance through Congress, Dr. Margaret Hamburg is now officially the leader of the Food and Drug Administration. Dr. Hamburg, along with her colleague Dr. Joshua Sharfstein, has just published a perspective piece in The New England Journal of Medicine, discussing their vision for the future of the organization. Recommneded reading: The FDA as a Public Health Agency. The latest issue of Sports Illustrated has several features focusing on the intersection of sports, performance enhancement, illegal drugs/steroids, and dietary supplements. As more and more big-name athletic stars are caught testing positive for banned substances, an ever increasing amount of negative attention is being placed on dietary supplements. The articles we'd like to draw your attention to here are essentially framing DSHEA and dietary supplements as enablers for such infringements. Sports Illustrated Time, Inc., Magazine Co.
Sports Illustrated Bldg. 135 w. 50th St. According to laboratory tests, the FDA found that the products in question (sold under the brand names Methyl 1-D, Methyl 1-D XL, and Formadrol Extreme XL) contained one or more unapproved food additives and/or ingredients about which there is not enough information. Methyl 1-D and Methyl 1-D XL contained 1,4,6-androstatriene-3,17-dione (ATD), while Formadrol Extreme XL supplement product contained ATD and 3,6,17-androstenetrione (6-OXO). The seized supplements were valued at an estimated $1.3 million. The agency stated that they possessed no scientific information concerning the safety of the condemned products of their ingredients. Coming on the heels of the recent Hydroxycut recall, it would appear that the FDA is aiming to take a more pro-active stance regarding dietary supplements. Recent press surrounding these two incidents have once again stirred up DSHEA opponents. Listen to the interview below to hear Dr. George L. Blackburn, Division Associate Director of Harvard Medical School, and Natural Products Association CEO David Seckman discuss the coming challenges facing the industry in the fall-out of these the Hydroxycut recall. After an easy passage through her Senate confirmation hearing last Thursday, Dr. Margaret Hamburg appears well on her way to taking over the lead position of the Food and Drug Administration. Dr. Hamburg will begin her time as the head organization later in the month, taking over for Dr. Joshua Sharfstein, the current acting commissioner for the FDA. Though her expertise is more in the fields of bioterrorism and infectious-disease research, Dr. Hamburg has vowed to make a priority of improving oversight of food safety. As yet, is not clear how such changes will be implemented, but the ambitions of the soon-to-be commissioner seem to be backed by the Obama administration after an announcement that it has proposed a nearly 20% increase in the FDA's budget for next year. Half of that amount would be specifically set aside for improving food safety, something the administration has been leery of in the aftermath of two closely timed recalls for peanuts and pistachios. As we all know, the current economic climate has been extremely difficult for many people. All over the country, businesses of all sizes are struggling, and community healthcare programs are no exception. Clinics and healthcare organizations for the disadvantaged are experiencing an increase of patients needing services and a decrease in funding, creating a huge material disparity in these already stressed programs. That’s why the Natural Products Foundation has created a new campaign called Healthy Match. This program aims to pair needy healthcare clinics with natural products companies that are willing to donate their products to further a good cause. To make this program a success we need the assistance of our industry partners. If you will consider donating product to a specific clinic in need, please contact Deb Knowles by email (debknowles@naturalproductsfoundation.org), or by calling 941-349-9044. If your organization would be interested in making a financial donation to facilitate this effort, your support would be greatly appreciated. To make a donation, or for more information about this project, please visit dsib.org/healthymatch. All contributions, either material or financial, are fully tax deductible, and will go directly to the Healthy Match campaign and the very deserving clinics and healthcare organizations involved. Together, we can make this essential program a reality. The organizations endorse the unified advisory for marketers, retailers, and consumers of dietary supplements. WASHINGTON, D.C. May 1, 2009 The dietary supplement industry is aware of public concern regarding H1N1 flu virus (“swine flu”) and of the desire of the public to protect itself against this virus. The trade associations of the dietary supplement industry support the responsible sale and use of health-promoting vitamins, minerals, herbs and other dietary supplements. We are unaware of any scientific data supporting the use of dietary supplements to treat swine flu. Furthermore, federal law does not allow dietary supplements to claim to treat any diseases, including swine flu. Marketers and retailers should refrain from promoting any dietary supplement as a cure or treatment for swine flu. Anyone who believes they may have swine flu or may have come in contact with the virus should contact a healthcare professional. More information on swine flu and the proper actions to take if you suspect you are ill is available on the Centers for Disease Control Web site: cdc.gov/swineflu_you. There are dietary supplements that have much to offer in terms of enhancing general immune function. However, therapies for the treatment of swine flu should only be recommended by qualified healthcare professionals or public health authorities. The organizations supporting this advisory represent the majority of dietary supplement manufacturers. Each of the associations and its member companies remain committed to providing the American public with high quality products for supporting personal health and permitting “self-care” choices. Each of the associations is also committed to recognizing that there are some health conditions for which the choice of self-care should be actively discouraged. The current global outbreak of swine flu is such a condition. The American Herbal Products Association (AHPA) is the only national trade association devoted to herbal issues. AHPA’s mission is to promote the responsible commerce of herbal products, and its committees generate self-regulations to ensure the highest level of quality with respect to the way herbal products are manufactured, labeled, and sold. Website: http://www.ahpa.org/. Consumer Healthcare Products Association (CHPA) is the 128-year-old, not-for-profit association representing the makers of over-the-counter medicines and nutritional supplements, and the consumers who rely on these healthcare products. Information on the Association can be found at http://www.chpa-info.org/. Council for Responsible Nutrition (CRN), founded in 1973, is a Washington, D.C.-based trade association representing dietary supplement manufacturers and ingredient suppliers. CRN members agree to adhere to voluntary guidelines for manufacturing, labeling and marketing and CRN’s Code of Ethics. Visit http://www.crnusa.org/. The Natural Products Association, founded in 1936, represents more than 10,000 retailers, manufacturers, wholesalers and distributors of natural products, including foods, dietary supplements, and health/beauty aids. Association members meet annually each July in Las Vegas at the association’s official tradeshow, Natural MarketPlace (http://www.naturalmarketplaceshow.com/). 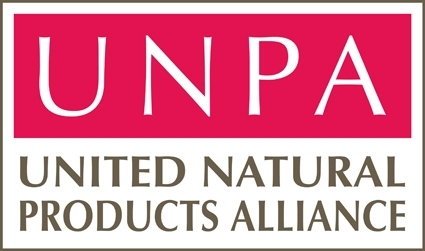 The United Natural Products Alliance (UNPA), founded in 1991, is an association of dietary supplement and functional food companies that share a commitment to provide consumers with natural health products of superior quality, benefit and reliability. Information on the Association may be found at http://www.unpa.com/. “So to ensure the public gets accurate and legitimate information regarding the use of dietary supplements, we are taking a two-pronged approach through our Truth in Advertising Program. First, we are continuing to educate the natural products industry about what can and cannot be claimed about the health benefits of dietary supplements. Our website has a library of resources for both retailers and suppliers regarding what the law permits. We know the industry wants to do what is right and lawful and the foundation provides the tools to help accomplish this. Secondly, we are monitoring the Internet for marketers claiming to treat Swine Flu with dietary supplements and are turning these URLs over to the Federal Trade Commission for further investigation. 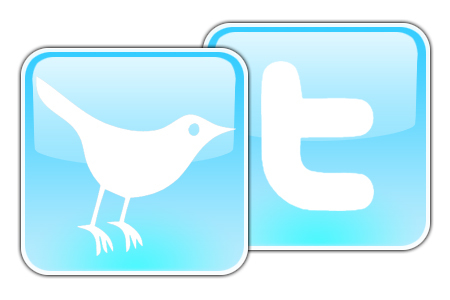 Twitter, the popular social networking tool that allows users to answer the question “What are you doing right now?” is great way to keep in touch with friends, family and co-workers. But Twitter is more than just a peek into the lives of others—it’s also a way to let people know about the good work being done by NPF and ask for small donations to help us with our initiatives. The Natural Products Foundation is gearing up to start a Twitter micro-fundraising campaign, which will raise money for a new program to match vitamin and supplement companies with needy health care clinics. Due to the tough economic climate, many community health clinics that care for those without means to pay are seeing a decrease in funding and an increase in people needing services, dietary supplements and other natural products. All donations from the Twitter campaign will be used by NPF to match each participating vitamin and supplement company with a clinic. The principal Twitter user heading this campaign is Janis Krums of Elementz Nutrition. If you use Twitter, you can follow Janis here: @jkrums, or, if you would be interested in helping us spread our message on the site, please contact the Dietary Supplement Information Bureau at info@supplementinfo.org. For those who don't use Twitter but would still like to help with the Healthy Match Program, micro-donations ($5, $10, $15 or more) can be made right here: Healthy Match. My company, Retail Insights®, celebrates its 12th year helping independent retailers develop, build, and operate successful natural products stores. My background prior to consulting includes 20 years in distribution as sales manager for Stow Mills, which merged with United Natural Foods, Inc., in 1997. Retail Insights is proud to have as clients some of the finest independent retailers in our industry who, as of the end of the first quarter 2009, are reporting average year-over-year growth of seven percent; this despite the recent economic downturn and increasing competition. In my view, to continue to succeed, independents must stand for two principles. First, they must commit to quality, that is, act as a trusted gatekeeper, selecting only the finest products. Second, independents must dedicate to being a true partner of those who walk through their doors each day seeking help. You may be surprised to learn that independents experiencing the strongest growth regularly turn customers away. How can this be, when many retailers today are nervously increasing discounts to keep customers from defecting? It is because these successful independents truly promote holistic health. Shocking? Not really. While this customer may walk out unsatisfied today, he or she knows the retailer stands for something more than making a sale. Those customers the retailer does help eagerly and wholeheartedly mobilize family, friends, neighbors and coworkers to visit the store. As we reach more people, and gain prominence in commerce and society, we will continue to face challenges from regulators and competing interests. That’s why I support the Natural Products Foundation in its mission to maintain the integrity of natural products, which helps ensure that consumers achieve greater well-being. Through education and research, NPF helps us improve our products and services, and strengthens the bonds we form with consumers now and in the future. To maintain the public trust, we will do well to adhere to a set of standards that does not vary with each passing fad, and this is why the Natural Products Foundation is essential. 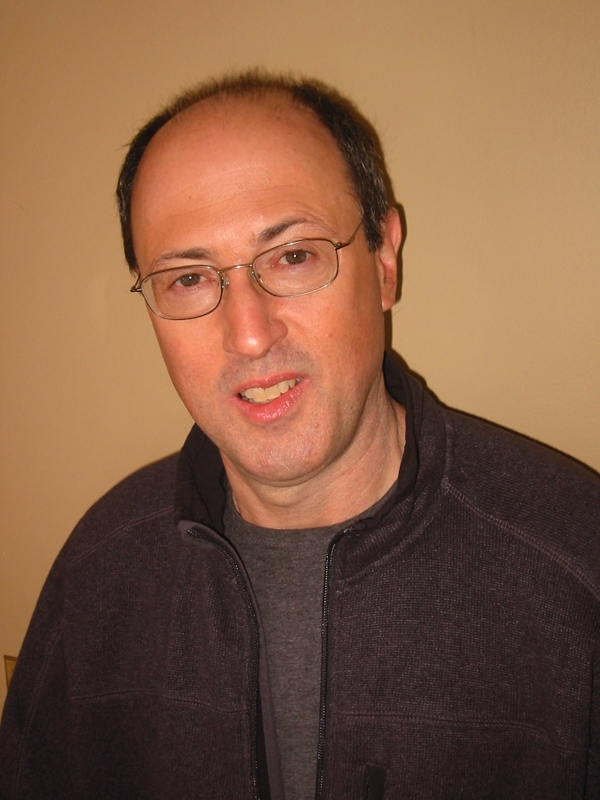 Jay Jacobowitz is president of Retail Insights, natural products industry consultant, and publisher of Natural Insights for Well Being, a consumer marketing program designed especially for independent natural products retailers. With 31 years of industry experience, Jay has helped develop over 800 successful natural products retail stores in the U.S. and abroad. Jay is a popular educator, speaker, columnist for Whole Foods Magazine, and serves the Natural Products Association in several capacities. Chondroitin from Shandong Zhongyuan Greentech Co., Ltd., a China-based dietary ingredient supplier, has recently been tested for purity by the Natural Products Association’s (NPA) raw ingredient testing program in China. The results of those tests are now available to members on the NPA’s Web site. The China raw materials testing program was launched in 2007, with testing of dietary supplement materials provided by U.S. Pharmacopeia (USP) through its lab in Shanghai, in response to industry efforts to maintain product quality and reliability throughout the supply chain. Instead of relying either on tests provided by China or post-shipment tests, U.S. manufacturers can test the quality of Chinese raw materials prior to shipment. The testing of ingredients from China-based companies is coordinated between the NPA headquarters in Washington and the NPA-China office in Beijing. As a benefit of membership, NPA members can access an online database of suppliers’ test results for consideration when making contractual decisions. The association’s program also offers Chinese suppliers a competitive edge as well as a chance to prove the quality of their products. The raw materials testing program can be used to test a wide variety of ingredients, for a broad range of specifications as needed for GMP compliance. Natural products manufacturers or brokers that source their raw materials from China will benefit from reduced transit times and costs; greater traceability and documentation of ingredients used in the supply chain; use of state- of-the-art technology in testing; and a systematic approach to verification. Details on the program are available at Naturalproductsassoc.org/ChinaPurity. Over the past several weeks there have been a number of interesting articles popping up that have examined and attempted to explain a rather insistent counter-trend: the die-hard resilience of the supplement industry in the face of widespread and nearly universal financial woes. "Recession proof" is a decidedly popular and endearing phrase for any industry fortunate enough to be so, and recession proof is just what dietary supplements are proving to be in these dire economic times. Not only are supplements continuing their decade long rise in sales--sales are actually increasing above and beyond the industry's already heady pace. The first article we'd like to draw your attention to is from the April 5th print edition of New York Times. The Times has a history of being none too kind in its reportage about supplements, and this position is still present even in an article reporting on what is a decidedly positive story for the industry: "As Economy Is Down, Vitamin Sales Are Up"
"Whether a testament to vitamins or the power of placebo..."
"But science does not seem to have shaken everyone’s faith." "With fewer shekels in the coffers of household budgets around the world, food supplements are increasing in appeal as fear-ridden consumers look for ways and means to dodge the potential budget-busting hell of the mainstream medical system." NYTimes: "As Economy Is Down, Vitamin Sales Are Up"
Food Nav-USA: "Food supplements proving recession-proof"
U.S. FDA's good manufacturing practices (GMP) rule for dietary supplements, published 18 months ago, is an important regulation with stringent requirements for companies involved with the manufacturing, packaging, labeling and holding of dietary supplements. The FDA has started GMP inspections for companies with more than 500 FTE employees and will begin GMP inspections for companies with 20 or more FTE employees beginning July 2009. To help the industry partners understand and comply with the new rule, and prepare for eventual regulatory inspections under the FDA GMPs, the NPA will be holding a day and half long educational seminar to discuss the impact and provisions of the final rule. Over 1,000 industry representatives have already attended this popular seminar, exploring the challenges of the new regulation and gaining valuable insight on addressing compliance to the FDA GMPs. To register, call Vicki Whitsitt at (800) 966-6632, ext. 243, or use the downloadable registration form. This year's Natural Products Association "Natural Products Day" had the most participants since the event began in 1997. Nearly 200 industry delegates joined in, gathering together in groups representing their states and state districts to further educate Congressional members about the food safety issues concerning natural products. Altogether, the groups managed to meet with the leaders of 180 congressional offices, including two-thirds of all freshman legislators. Meeting with the Senators and Representatives, industry advocates discussed the importance of natural products in healthcare reform, the need for high standards of GMPs, and the need to updated the Childhood Nutrition Act which put into law in 1966. Additionally, advocates discussed the current structures and functions of DSHEA with newer lawmakers. Following the meetings with Congress, the NPA held a reception honoring Senate leaders Orrin Hatch (Utah), Tom Harkin (Iowa), Jon Tester (Montana), Tom Coburn (Oklahoma), and House leaders Frank Pallone (New Jersey) and Jason Chaffetz (Utah), all of whom have played an important role in supporting natural products in past Congressional sessions. All in all, we saw industry advocates from 38 states and the District of Columbia attend the event, and we would like to extend our heartfelt thanks to all of you who have stepped forward and let your voice be heard. Let's make next year an even greater success! Recipients will be honored at Natural Products Association’s annual trade show and convention, Natural MarketPlace 2009, July 9-11 in Las Vegas, Nevada. For more info on the awards and award recipients, please have a look at NPA Awards press release. Also, if you would like to nominate a deserving individual or organization for next year, please click here for the 2010 nomination packet. The Natural Products Foundation and Tastebook have partnered to give you an incredible new cookbook: Cooking, Naturally. 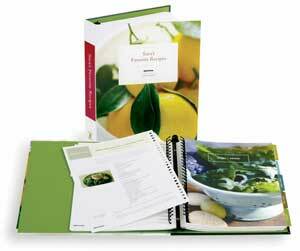 'Cooking, Naturally' is a collection of savory recipes (and gorgeous photography) that's truly one-of-a-kind. These dishes are healthy, diverse, and sure to give you some amazing ideas for a cuisine as natural as it is delicious. Proceeds benefit the Natural Products Foundation. To support the Natural Products industry with your purchase, please make sure to enter NATURALPRO in the coupon box when checking out. Also check out our new Amazon Bookstore on the DSIB homepage for titles from David Heber, Phyllis A. Balch, and Dr. Hyla Cass. Enjoy! The US Department of Agriculture (USDA) Nutrient Data Lab, collaborating with the National Institutes of Health (NIH) Office of Dietary Supplements, has created an online database which aims to provide accurate estimates of nutrient intake from supplements. The organizations hope to create a better guide than databases which rely on labels alone. The first version of the database, the Dietary Supplement Ingredients Database (DSID-1), assesses nutrients in vitamins and minerals through chemical analysis of products in the marketplace. Additionally, the system can break vitamins and minerals categorizations down into the groups they are intended for by gender and age. Following the U.S. Government Accountability Office (GAO) release of a report on the oversight and regulation of dietary supplements, the Natural Products Association released the following statement from Executive Director and CEO David Seckman. “The Natural Products Association appreciates having the opportunity to be included in the GAO’s review of dietary supplement regulation, particularly regarding the recent implementation of adverse event reporting and good manufacturing practices. Our initial impressions regarding the four key recommendations of the report are as follows. “Contrary to opinions stated in the report, the FDA already has a great deal of information about individual dietary supplement products and their manufacturers. The dietary supplement industry has cooperated by registering all manufacturing facilities under bioterrorism regulations that went into effect more than five years ago. Additionally, the NPA is currently working with the government to create a database of all dietary supplement labels to augment this information. “We also take issue with the implication that the FDA has limited power to remove products from the marketplace. In fact, although the agency has had scant reason to do so, it has exercised its ability to take products off the shelves it deemed a health risk. “While we supported legislation to establish mandatory adverse event reporting for dietary supplements and over-the-counter drugs, we still believe that reporting should be limited to incidents that are serious. If the FDA’s resources are already stretched, as the report indicates, then adding to this burden by mandating that any complaint be dealt with by the agency does not make sense. “We support further guidance clarifying how the FDA determines when an ingredient is considered ‘new’ to the marketplace and what evidence is needed to document safety. Likewise, we are in favor of the agency clarifying when it believes products should be marketed as conventional foods versus dietary supplements. “One of the fundamental principles of DSHEA [Dietary Supplement Health and Education Act of 1994] is providing consumers with more information so that they can make informed decisions to maintain and improve their health. So we are in agreement that the FDA should work with stakeholder groups to educate consumers about the safety, efficacy and labeling of dietary supplements. The Natural Products Association (NPA) applauds the U.S. Food and Drug Administration’s ongoing investigation of weight loss products containing prescription medication and falsely marketed as dietary supplements. The association contends that products containing medications, even if they are labeled as “dietary supplements,” are illegal drugs masquerading as legitimate supplements in the face of sometimes lax enforcement. An estimated 70 percent of American consumers enjoy the health benefits of a wide array of herbal remedies and dietary supplements, manufactured by an industry that takes very seriously its commitment to the health of its customers and the quality of its products. Seckman went on to say that his industry is committed to ensuring products taken by anyone, whether those trying to lose weight or augment an inadequate diet, contain exactly what is listed on the label. He also added that the term “natural” is in most cases unregulated by government agencies allowing marketers to make this claim based on their own concept of natural. To further help consumers discover truly natural products the association launched a natural certification and seal program so consumers can easily identify those personal care products that meet high standards for natural ingredients (www.naturalproductsassoc.org/certifiednatural). Also troubling was the author’s apparent lack of understanding about how dietary supplements are regulated. “The authors seem to be confused or unaware of how supplements are regulated and exactly what constitutes a health claim authorized by the FDA,” Fabricant said. “For example, they cite that there is only one supplement, folic acid, worthy of a public health recommendation by way of a health claim. However, even a cursory visit to the FDA’s Web site would have revealed that other nutrients and dietary ingredients, including the very calcium and vitamin D that they studied, also have FDA-authorized health claims.” The FDA was granted the ability to approved or authorize claims explaining a nutrient’s positive health benefits when supported by research as a result of the 1994 regulating dietary supplements. More than 180 million Americans take dietary supplements regularly to supplement inadequate diets and maintain and improve health. Taken as whole, the research on dietary supplements in the prevention of chronic diseases, is strong and consistent,” said Fabricant. “To suggest that taking vitamins and minerals with a demonstrated health benefit is unnecessary sends the wrong public health message." While the video was a dramatization to be sure, it visualized a dystopian U.S. society that was truly only one step away from reality at that time. This ad, together with many other coordinated grassroots efforts, created a groundswell of support for what would become the Dietary Supplement Health and Education Act of 1994, or DSHEA, the law that today protects our access to dietary supplements and to information about these products. In the 1990s, however, the marketplace and the regulatory landscapes were quite different from today’s. In some ways, the enforcement climate had reverted to that of the days before the Proxmire Vitamin Bill (The Food Supplement Amendment of 1973). Raids, perhaps not as dramatic as the one with Mel Gibson but scary nonetheless, were not uncommon occurrences before DSHEA. “Although FDA [the U.S. Food and Drug Administration] had been carrying out raids against health-food stores and alternative medicine clinics around the country to harass the supplement industry, when the Health Freedom Act of 1992 was introduced---which became DSHEA---ethical supplement companies knew that there was an uneven playing field on which unethical companies were selling products that did not meet label claims for content or purity and who were making untruthful and misleading health claims for their products,” said Alex Schauss, Ph.D., managing director of AIBMR Life Sciences. How, then, did we go from our victory in the mid-1970s with the Vitamin Bill to the anti-supplement climate of the 1990s? Annette Dickinson, Ph.D., a noted supplement industry expert, told it to me this way: “In the early 1990s, FDA, under then-commissioner David Kessler, was on a path toward restricting the availability of dietary supplements. In many ways, our country would be similar to Europe minus the natural medicine tradition. I have heard from a number of health-freedom advocates across the Atlantic who have to shop in pharmacies for their supplements, supplements for which they often require prescriptions. High-potency (read: American) supplements are hidden behind the counter and are sold to people only upon request, and on the “QT” at that. Sounds like a black market, doesn’t it? “Because the American people will not be swayed from their supplements, it is likely that a black market of supplements would have [arisen],” observed Beth Clay, senior vice president at Capitol Strategy Consultants. That’s what it would be like here, in the U.S., without DSHEA. But this black market would come at a price – without the controls such as Good Manufacturing Practices, FDA guidance on labeling and structure function claims, FTC guidance on truth in advertising, and Adverse Event reporting procedures. This would make for a return to the “snake oil” days of the early part of the century. Now we have had a glimpse of what our country, and our dietary supplement choices, would look like without DSHEA. In what ways is DSHEA better? “I think one of the biggest differences from the pre-DSHEA time period is that DSHEA really helped ‘legitimize’ the dietary supplement industry in the minds of many consumers, as it set down specific rules and regulations that manufacturers had to follow in order to be in compliance with DSHEA, such as labeling standards,” noted Daniel McSweeney, owner and president of Vitamin Retailer Magazine Inc.
Gormley Take-Away: So although we must feel fortunate that DSHEA exists, we must remember that the price of liberty is eternal vigilance. In recent years, the Federal Trade Commission (FTC) has picked up where the FDA left off and, by its numerous enforcement actions, “threatens to diminish the industry’s inventiveness for new products that could benefit and support consumer health,” warned Schauss. 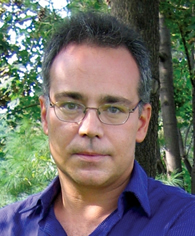 About the Author: James Gormley is an award-winning journalist, published author, and member of the American Society of Journalists and Authors (ASJA) and the Association of Health Care Journalists. He is a senior policy advisor for Citizens for Health, an advisory board member of the National Health Research Institute (NHRI) and a member of the Institute of Food Technologists (IFT). He is currently editor of a national women's health and fitness magazine, H2O, and serves as an industry consultant. For more of James' commentaries, please visit his blog: The Gormley Files. The Natural Products Association and the Natural Products Foundation issued the following statements in response to a study published today in the Archives of Pediatrics and Adolescent Medicine titled "Vitamin and Mineral Supplement Use by Children and Adolescents in the 1999-2004 National Health and Nutrition Examination Survey." Comments are from the association's vice president of scientific and regulatory affairs, Daniel Fabricant, Ph.D., and the foundation's Tracy Taylor, its executive director. "The study is important, especially in a time where health care cost savings have moved into the center of our stream of consciousness, because it supports previous NHANES data not only on adults, but more importantly the data sets on children and adolescents that demonstrate that those with less healthy nutritional, activity and other socioeconomic factors, use vitamin and mineral supplements the least, thus may be at even greater risk for nutritional insufficiency and the health hazards associated with it," said Fabricant. "The authors of the study are incorrect in their assertion that the industry is unregulated; nothing could be further from the truth. The industry is strongly and fairly regulated with mandatory adverse event reporting and cGMPs [current good manufacturing practices] at the front line of those regulations, in the same manner and magnitude as they are present in other industries also regulated by the Food and Drug Administration (FDA). However, the authors' mistake is not surprising considering that studies have demonstrated time and again that the majority of medical schools do not even meet the 1985 National Academy of Sciences (NAS) recommendations for hours of nutritional education and coursework. "This is why we are a part of developing quality research tools like the National Institutes' of Health Dietary Supplement Label Database. Scientific decisions and national health care policy should be based on accurate information in understanding the universe of dietary supplements, including, but not limited to how dietary supplements are regulated, so that researchers and health care providers have the ability to factually evaluate the contributions of supplements to the diet, and do not make uninformed statements regarding supplements." Taylor agreed with Fabricant about the importance of the research, but expressed concern that Americans historically do not get their nutritional needs met through diet alone, as the study's authors recommend. "At a time when families are struggling to eat balanced and nutritious meals, this study could be seen as discouraging the use of the very vitamins and minerals that could bridge any nutritional gaps," said Taylor. "History has demonstrated that Americans will often forgo purchasing nutrient rich foods in favor of inexpensive fast foods in an economic crunch. And given the fact that more than two-thirds of Americans already fail to get the essential nutrients they need even in the best of times, we hope the take away from this study is not to cancel the nutrition insurance vitamins and minerals provide for many." The Natural Products Association is the nation's largest and oldest non-profit organization dedicated to the natural products industry. The association represents more than 10,000 retailers, manufacturers, wholesalers and distributors of natural products, including foods, dietary supplements, and health/beauty aids. Association members meet annually each July in Las Vegas at the association's official tradeshow, Natural MarketPlace. The NPA is now accepting nominations for its 2010 awards program. Each year at the Natural MarketPlace trade show and convention, the association salutes individuals and companies in various fields for their achievements in the natural products industry. NPA members and all industry supporters may submit names for any of the awards, and are welcome to nominate themselves for any awards for which they are qualified. The deadline for submitting nominations is Tuesday, March 31, 2009. Burton Kallman Scientific Award presented to an individual for outstanding achievement in science with relevance to the natural products industry. President’s Award presented to an individual or company that has made long-time contributions to industry. Rachel Carson Environmental Award presented to an individual or company that has made significant contributions to the environmental community. Statesman/Stateswoman Award presented to individuals outside the industry who have been an ally to the natural products industry in the political and legislative arenas. Natural Products Association Industry Champion Award recognizes individuals who have made notable contributions to industry above and beyond commercial success. Natural Products Association Clinician Award recognizes a licensed healthcare practitioner whose work exemplifies the best standards and dedication to responsible holistic, non-invasive and integrative/complementary/alternative-medicine modalities. Socially Responsible Retailer Award presented to a retail store or stores within the industry demonstrating key aspects of social responsibility. A nominations packet detailing each category’s criteria, previous recipients, and submission form can be found on the Natural Products Association’s Web site: Award Nominations Packet. Nomination forms and information are also available by contacting sjackson@NaturalProductsAssoc.org or calling (202) 223-0101 ext. 104 to request a packet by mail. By James Roza, CN The latest word out of Washington predicts that President Obama selection for a new FDA Commissioner is imminent. There are apparently four potential candidates in the running: Joshua Sharfstein, head of Baltimore’s health department, Robert Califf, cardiologist at Duke University, Steve Nissen, a Cleveland clinic cardiologist, and Susan Wood, the former head of FDA’s Office on Women’s health. Whomever President Obama selects will have the unenviable task of dealing with a Department that for many Americans has not lived up to listed responsibilities. Issues ranging from melamine to lead and, most recently, salmonella have prompted many consumers to seriously question the safety of our food supply. How the new commissioner chooses to respond to these issues will undoubtedly impact the supplement industry, so we need to be prepared. The new Commissioner’s most likely response may come in the form of more government oversight and stricter standards rather than agency reforms. If this proves to be true, we will have made little progress in upgrading a system that is in dire need of an overhaul. Let’s hope that the new climate of change that the Obama administration has brought to Washington brings a new mindset to an agency that has long been beleaguered. An agency that favors a partnership with industry to find long term, practical solutions, rather than one that simply relies on heavy-handed intervention. The United Kingdom branch of Reuters News has a very nice article up right now concerning the economic downturn and how the organic market has been effected in the current financial climate. Growth within the sector has slowed considerably, as is the case almost universally in these difficult economic times, but the industry's sales are still resilient and have yet to decrease. For example, December sales were up 5.6%, which is healthy, though obviously a serious depression from last December's prodigious 25.6% increase. The article ranges over five pages on Reuters website, and its well worth a look to see how organic foods (and the potential difficulties for the industry) are perceived world-wide: Organic food growth slows amid downturn. By James Roza, Cn I applaud Botanicals International’s (BI) proactive stance in dealing with the issue of unapproved sterilization methods as reported in NPI’s recent press release, “BI Nutraceuticals Commences Education Program Surrounding FDA Approved Raw Material Sterilization Methods”. Their program to enlighten the industry about the FDA ban on the use of ethylene oxide (ETO) and gamma rays (irradiation) to sterilize dietary ingredients is a bold step forward in addressing a sensitive issue that has been part and parcel of this industry for a long time. For those new to the industry, this ban is not a prohibition that just recently took effect, it has been around for quite a while but it has not been discussed with the transparency that BI is planning to provide. The use of ETO and irradiation for the sterilization of herbs and other nutraceuticals such as shark’s cartilage has been in use for many years. Until the advent of steam, ozone and hydrogen peroxide sterilization, many companies had no other means to reduce microbial loads but through ETO and irradiation. While these methods are allowed for certain spices and approved foods, many companies either willingly or unknowingly purchased ingredients of this ilk for the manufacturing of their dietary supplements. Luckily the industry has not had to bare the brunt of an ETO incident as it has with the issue of heavy metals and Proposition 65 or steroids masquerading as dietary supplements, but it is an accident that is ready to happen if we don’t take charge of it ourselves. The more transparent and rational discussion we as an industry can give to these issues bodes well for our success in the future. James Roza, CN Once again, legislators from New York are attempting to pass a state bill (A2957) which would require all dietary supplements to bear a statement attesting to whether or not it has been tested by the United States Food and Drug Administration. This bill has been introduced before and each time it has been thankfully rejected. Its sponsors, however, are undaunted and are now in the process of once again securing the necessary votes they will need to have the bill passed. Their justification supposedly stems from the fact that some manufacturers of dietary supplements voluntarily choose to have their products tested by the FDA to ensure itsintegrity while others do not. The rational for this action thoroughly perplexes me. Since when was the FDA in the business of testing and evaluating products? Never to my knowledge! Yes, the FDA does test dietary supplements, but at their own discretion. They have never voluntarily accepted products from manufacturers to corroborate their content or potency. Clearly the motivation of these individuals is completely misguided and appears to be simply another attempt to discredit and malign our industry. This is most unfortunate because it runs counter to the advances we as an industry have made in finally forcing the FDA to implement cGMP standards. Although this should have been done over 10 years ago, we now have GMP standards to which the whole industry must abide. These standards ensure that quality is held and maintained throughout the production process so that there is no question regarding the integrity of a product once it's finished. What the legislators are once again proposing is not only asinine and unnecessary; it is a step back into the "dark ages" when the misguided thought that you could test the quality back into a supplement after it had been produced. On December 23, 2008, fifty-six dietary supplement marketers were named as defendants in a lawsuit brought forth by the California Attorney General, alleging that multivitamins sold were contaminated with lead. These cases came to the California attorney general's attention after Consumerlab.com, a company that tests consumer products, reported that a Vitamin Shoppe Multivitamin contained some amount of lead. This finding was related to the FDA in a letter from Henry Waxman, a Democratic Congressman from California. Waxman requested that the FDA investigate the matter and respond. After rigorous testing, the Consumerlab.com test results could not be authenticated by The Vitamin Shoppe or by the FDA. Unfortunately, Waxman's home state of California decided to pursue the issue under their Proposition 65, The Safe Drinking Water and Toxic Enforcement Act of 1986. The FDA maximum PTTI levels are 6 μg for children up to the age of 6 years, 15 μg for children 7 years and older, 25 μg for pregnant women and 75 μg for adults. The maximum dose level allowed by California's Prop 65 is 0.5 μg/day, a fraction of the FDA's established norm. After the FDA published its results all of the companies whose Pb levels exceeded California's independently set standard became targets for the state, and many are now involved in the suit brought by the California Department of Justice. Over half of the 324 multivitamins that were tested for lead contamination were above California's Proposition 65 limit, while just over 1% of them actually failed the FDA's measure. Companies who are well within compliance with the FDA national standard are now being persecuted by the state of California. This is a clear instance of state-level agencies attempting to superimpose their strictures over that of the federally established standards for operating. [Begin opinion] This is clearly a case of the tail wagging the dog and to the industry’s chagrin has been going on for much too long. Although appeals to rescind Proposition 65 have been unsuccessful, other avenues need to examined to bring some common sense to a issue that seemingly continues to perpetuate it self. Clearly, the FDA and the State of California are at loggers heads about what constitutes a safety hazard and we need some rational discourse on both the Federal and State level to clearly assess what dangers lurk in the foods, supplements and beverages we ingest. The intention of Proposition 65 to protect the health of the public has gone well beyond its bounds and has resulted in frivolous lawsuits that consume tax payer’s time & money. What we need is some rational thinking and a critical review of what really poses a danger to the public’s health. This YouTube video by Penn and Teller is illustrative of what can happen when some critical thought isn’t applied to issues that affect our safety. This measure would effect not just those in New York, but any manufacturers selling their products in the New York, the third most populated state in the country. To have a look at the primary documents concerned with this proposed law, please click through to read the Bill Text and the formal state summary of the same. By James Roza, CN The latest controversy regarding Phillies’ pitcher J. C. Romero's use of 6-OXO (a designer type quasi-steroid which is sold in some health food stores) begets the question, “When is a compound a steroid or a supplement?” Clever chemistry has created many steroid-like compounds that supposedly provide the same benefits as the banned substances that FDA allows only by prescription. Through the manipulation of molecules, new compounds that have never before been seen can be put onto the market with little or no oversight. A recent article in ESPN’s ezine entitled, “Steroid Nation: Wait and Watch”, illustrates how entrepreneurial individuals can seemingly evade FDA jurisdiction under the guise of dietary supplements. But what about the provisions of DSHEA? Aren’t new compounds marketed as dietary supplements prior to 1994 suppose to be submitted to FDA as new dietary ingredients for their review? Apparently, these individuals and companies are not fulfilling the requirements set forth in this law. Sadly, I have not seen nor read one comment about this issue as it applies to new dietary ingredient submissions as prescribed by DSHEA. That’s unfortunate because the brunt of criticism that our industry is taking for these sins could easily be eliminated if more emphasis was based on exercising this requirement. Tuesday, March 24, 2009 is the 12th annual Natural Products Day. Natural Products professionals and supporters from all over the country will be joining together in Washington, D.C. for a day of educational workshops and advocacy outreach with congressional leaders. Attendees will be able to talk face to face with their district legislators about the issues and concerns of the industry, as well as upcoming legislation which will affect us all. Let your voice be heard! Last year saw over 200 industry representatives meet with Congress to advocate consumers' rights. Let's make this year even better! All meetings are prearranged for those who sign up to attend, and attendance is free of charge. To help industry members understand and bring themselves into compliance with the new requirements, the Natural Products Association will be offering an advanced course on the final FDA Good Manufacturing Practices rule for dietary supplements. The FDA has already begun GMP inspections for larger companies, and will being inspections for companies with 20 or more FTE employees in July of 2009. The FDA will be publishing a new Health Claim Guide, "Evidence-Based Review System for the Scientific Evaluation of Health Claims" next week in Federal Register. The new system will be the FDA standard now for Significant Scientific Agreement (SSA) health claims. This update will replace the previous guidance which was issued in 1999, "Guidance for Industry: Significant Scientific Agreement in the Review of Health Claims for Conventional Foods and Dietary Supplements." For more from the source, please click here. Additional, the FDA has released an explanation of their position on SSA health claims for supplements. The FDA is accepting public comments on both releases. Increased scrutiny by professional sports leagues on steroid usage, which the Natural Products Association (NPA) commends, has unfortunately also led to increased and unsubstantiated allegations that a “tainted” or mislabeled dietary supplement is to blame when an athlete tests positive for a banned substance. As the Dietary Supplement Health and Education Act of 1994 (DSHEA) mandates, all ingredients must be listed on product labels and product claims must be substantiated. If this is not the case, the U.S. Food and Drug Administration (FDA) - along with the Federal Trade Commission (FTC) have the authority under DSHEA to act promptly. These federal enforcement powers include, but are not limited to, removing any dietary supplements deemed adulterated from the marketplace and imposing substantial penalties on those who violate the law. Additional regulations authorized by DSHEA require that makers of dietary supplements have manufacturing practices in place that ensure their products meet high standards for quality and purity. Finally, it is important to remember that substances that are banned by various sports leagues as performance enhancers are not necessarily dangerous or illegal and include caffeine, commonly used over-the-counter cold remedies and prescription medications. Athletes have the right and responsibility to avoid their use. However, the consuming public who benefits from legitimate medications or dietary supplements as well as a trip to the local coffee house should not be denied their use if an athlete is unwilling or unable to follow the rules established by their sport. What you Need to Know Now about Emerging Dietary Supplements Issues & Trends. Program Description: This meeting will provide you with a context for staying up-to-date on the emerging issues of concern to the dietary supplement industry, regulators and consumers. Issues such as dealing with Food and Drug Administration (FDA) inspections, the substantiation of claims, current and future FDA and Federal Trade Commission (FTC) enforcement priorities and industry self-regulatory initiatives will be discussed. You will also hear from representatives of government and industry trade associations as they discuss the new dietary supplement good manufacturing practices, the introduction of new ingredients into the marketplace, labeling, claims, advertising, and more.